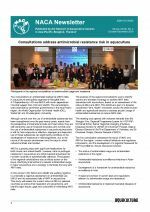 Consultations address antimicrobial resistance risk in aquaculture; ASEAN consultation on emergency aquatic animal disease preparedness and response; Applications for the position of Director General, NACA; Aqua 2018 - #WeRAquaculture; Asian Aquaculture 2018: Celebrating Asian Aquaculture, 3-6 December, Thailand; and Training and Deans' Forum organised in China. 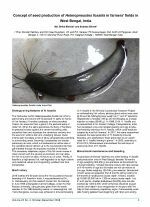 The freshwater catfish Heteropneustes fossilis is a high-priced fish, well regarded in India for its nutritional and medicinal properties. 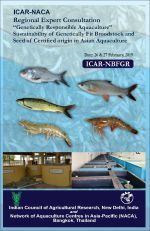 The first successful induced breeding of this fish was in 1956 at Bangalore Central College (under the then Mysore University), although seed production was not standardised until 2000, at ICAR-CIFA, Bhubaneswar. 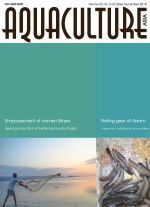 This article describes broodstock maintenance, induced breeding techniques and the nursing of H. fossilis larvae in small ponds for sale in fish seed markets. Annual flooding of the Brahmaputra and Barak rivers provides Assam with some of the finest floodplain wetlands in India. Local people have adapted their livelihoods to the flood cycle and fishing remains a traditional activity of tremendous importance in rural communities, with a diverse range of fishing gear and methods developed. 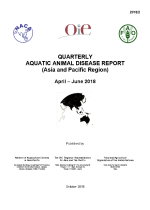 This article documents some of the major fishing gears of Assam, with reference to their efficacy and targeted fish species.